The glossary is your guide to any of the proving and improving terms throughout the website that you may want to be defined or clarified. General: an obligation or willingness to accept responsibility for one’s actions and its effects and/or to issue a statement or exposition of reasons, causes, or motives and explanation of one’s conduct. Accountability of an organisation in this context is made up of three parts: transparency – to account to its stakeholders; responsiveness – to respond to stakeholder concerns; and compliance – to comply with standards to which it is voluntarily committed, and rules and regulations that it must comply with for statutory reasons. These aspects of accountability may in practice have very different drivers, including legal compliance, stated policy commitment, reputation and risk management, and the company’s sense of moral and ethical duty. Being authorised and officially recognised. Research method based on ‘trial and error’ where action is intentionally researched and modified, leading to the next stage of action which is then again intentionally examined for future change, and so on as part of the research process itself. These are the things an organisation, or some part of the organisation, does to meet some or all of the organisation’s objectives. These can be formalised activities repeated over time, or they can be one-off actions. These can also be called ‘interventions’. In the context of this toolkit, added value can be defined as the extra benefit created by an organisation that delivers a positive outcome (for people, the environment, the community or the local economy) in the process of creating goods or delivering services for which a client or customer pays. This added value is often created by the means in which social enterprises operate. For example, a social enterprise that trains and employs long-term unemployed people in delivering recycling services ‘adds value’ to a contract for recycling services through its positive social impact. A calculation which considers and adjusts for the role of other organisations in creating an outcome for a certain group or person. See Impact. AIMS is an acronym for four criteria for choosing indicators. It stands for Action focused, Important, Measurable and Simple. Aims, in the context of this toolkit, describe why an organisation exists and the difference it wants to make. They can be overall aims, in terms of why the organisation exists and the broad effects it wants to have, for example, its mission; or specific, in terms of statements about the particular differences an organisation hope to make to its user groups, for example, outcome aims. See also mission. An assessor looks at an organisation and makes a judgement of how it measures up to a standard providing client-focused feedback and determining with the client organisation when to recommend it for recognition. This system is, for example, used in the Investors in People scheme. Assurance is an evaluation method that uses a specified set of principles and standards to assess the quality of an organisation’s reporting, by examining, for example, the organisation’s reports, as well as underlying systems, processes and competencies that underpin its performance. Demonstrating that observed changes are a result of an activity, project or a programme, rather than coincidental. This implies answering questions such as: supposing significant changes are found to have occurred, how can we be sure these changes were caused by our project or programme? See also deadweight, displacement and additionality. In a general sense, an audit is done internally or by an outside agency to check that certain standards are met and that controls are in place. See also Social Audit. A baseline can be described as an imaginary line used as a starting point for making comparisons. Information collected about where things stand at the start of a project regarding significant elements and indicators can be defined as baseline data. A baseline survey involves a series of indicators which you can measure at regular intervals with similar people or groups, which can help you to track the organisation’s performance over time. Benchmarks are used for the comparison of similar processes across organisations and industries to identify best practices, set improvement targets, and measure progress. The data collected for establishing a benchmark can act as a baseline and can be used for before-and-after comparison. A person or group who receives money, advantages, etc. as a result of an activity. An official statement, usually in writing, that something is true or correct. AA1000AS: The Completeness Principle requires an organisation to be able to thoroughly identify and understand the material aspects of its sustainability performance. It includes consideration of the subject matter (boundary, scope and time period), suitable criteria (use of standards, frameworks, tools and meaningful indicators) and provision of an enabling environment concerning resources and competencies inside and outside the organisation. Its main message can be summarised as, “measuring the right things in the right way”. A method of reaching economic decisions by comparing the costs of doing something with its benefits. The calculation of a benefit to customers accruing from a particular cost; for example, how much extra will consumers pay to get a special service? Is the benefit to be gained from a buying that service at a premium price higher than the cost of purchasing the enhanced service? The concept is relatively simple, but difficulty often arises in decisions about which costs and which benefits to include in the analysis. CBA also becomes complex when the benefits being measured do not have a price. SROI is one form of cost benefit analysis that tries to address this difficulty by associating some impacts of social enterprises’ outcomes with monetary values. The nef model values costs and benefits to multiple stakeholders. A customer can be defined as anyone outside the organisation who purchases or receives products, services, or some other benefit from it, such as service users, clients, beneficiaries, members, funders, the general public, other services, stakeholders, and targeted groups. A group of events which happen one following the other, and which are often repeated. Information, especially facts or numbers, collected for examination and consideration and used to help decision-making. Also information in an electronic form that can be stored and processed by a computer. In evaluating the outcomes and impacts of an organisation’s work, deadweight is what would have happened anyway, calculated through the use of available benchmark data (e.g. population statistics) and proxies. A tool which helps to recognise and name the exact character of a problem, need or area of improvement. Make information readily available to others inside and outside the organisation. A ‘£’ today is worth more than a ‘£’ tomorrow, because its value will have decreased by a certain percentage, known as the discount rate. Negative effects of an activity, which can, for example, occur when the benefits claimed by a programme participant are at the expense of others outside the programme. Generally refers to the progress that a beneficiary makes towards employability or harder outcomes, as a result of the project or programme. This can include differences in people’s feelings, attitudes, perceptions or skills over time. In a general sense, to be empowered involves being given authority or the freedom to do something. Something that is empowering makes a person feel more confident and in control of his or her life. Elements of personal empowerment can include individual learning, knowledge, confidence and skills. A person or organisation that allows other people to do things themselves instead of doing things for them. Fair and reasonable; treating everyone in the same way. Evaluation is a general term for the process of determining what has been achieved during or after a particular activity. Can be described as an organisation’s financial assets, including profit and loss, sales, shares, cash, etc. Easily counted and observed. They are often quantitative and are generally easier to measure than soft outcomes. Includes easily quantifiable skills, such as gaining a qualification or learning how to do a particular job. See also soft skills. Dealing with or treating the whole of something or someone and not just a part. Human capital is about individuals and covers features such as people’s skills, attitudes and behaviour, but also includes the self-esteem and self-confidence that people need in order to learn new skills and behaviours. An idea or explanation for something that is based on known facts but has not yet been proved. In an everyday sense, the impact of an organisation is the broader, longer-term change that it has effected. Impacts can be both intended and unintended, as well as both positive and negative. In the context of this toolkit, the impact that your organisation has had on the outcome for a particular person or group can be calculated by measuring the outcome, and subtracting what would have happened any way (see deadweight), the potential negative effects of the activity (see displacement) and that which was created by other organisations (see additionality). An impact map helps to link your mission, your objectives and the activities you undertake, with what happens because of them. This facilitates thinking through the ‘model’ for how you make things happen, and why, and can also be called developing a ‘theory of change’ or creating a ‘logic model’. This process can be simple, using a piece of plain paper, or can be very complex, involving a full Strategy Map for a large and complicated organisation. See also Strategy Map. In the context of this toolkit, improving means a continuous process of learning and growth both to support an organisation’s the social mission and to sustain/grow the business. It is also about actively pursuing ways to get better, for example at delivering goods and services, running efficiently and creating value for employees or partners. AA1000AS: An organisation’s commitment to identify and understand its performance and impact and associated views of its stakeholders, its commitment to consider and coherently respond to the aspiration and needs of its stakeholders and its commitment to provide and account to its stakeholders. According to the Oxford English Dictionary, an indicator is defined as ‘a thing that serves to give an indication (a sign, symptom or hint) or suggestion of something else’. In a more practical sense, indicators are specific pieces of information, conditions, signs or signals that can be measured to determine whether a given thing has occurred or has been achieved (e.g. an activity, an output, an outcome). Indicators can help to find out: what happened or changed as a result of your organisation’s work and other factors; ask further questions about how these changes happened; measure progress on the elements of a project. 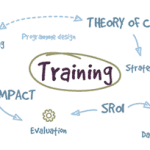 The resources that an organisation uses to carry out its activities and operations. These include funding, premises, goods-in-kind and time donated by volunteers. A process where one cycle feeds into the next. Special words and phrases which are used by particular groups of people, especially in their work. For the purpose of this toolkit, leadership implies taking responsibility for leading on an initiative within the organisation, both to learn about a chosen approach and to share it with and involve other staff. Local Multiplier 3 is an indicator developed by nef to measure the impact of an organisation’s spending on the local economy. See also local money flows and multiplier effect. How money is circulating in a local economy, through spending and re-spending. See also LM3 and multiplier effect. SIGMA: Fixed assets, such as, tools, technology, machines, buildings and all forms of infrastructure. AA1000AS: The Materiality Principle requires an organisation to include in its reporting the information about its social, environmental and economic performance required by its stakeholders for them to be able to make informed judgements, decisions and actions. It focuses on what is important to stakeholders, as well as what is accurate. Information is ‘material’ if its omission or misrepresentation in the report could influence the judgments, decisions and actions of an organisation’s stakeholders. The reason the organisation exists. For example, in the context of social enterprises, it’s usually to create a long-term or broader change. Sometimes mission statements incorporate ‘values’, or the guidelines an organisation sets for itself about how it wants to behave – or not to behave – in order to accomplish its broader longer term vision for change. See also aims. Regularly and systematically collecting and recording information in order to check progress against plans. Social Accounting: The social accounting principle that states that social accounts should reflect the views of all the organisation’s key stakeholders. The ‘multiplier’ is a concept from economics based on the idea that money that enters an economy has a cumulative impact on that economy in the way people spend and re-spend money. According to the multiplier effect, more re-spending in the local economy means a higher multiplier effect because more income is generated for individuals and organisations in that local economy. See also LM3 and local money flows. SIGMA: Natural capital means the natural resources (energy and matter) and processes needed by organisations to produce their products and deliver their services. Social networks are groups of people linked either by strong ties (as between friends) or by weak ties (as between acquaintances). Objectives are the goals an organisation sets for itself in accordance with its mission, which can also be described as the planned areas of activity by which a project is going to achieve its aims. Some organisations call the social, economic and environmental goals ‘strategic objectives’ to distinguish them from ones that have to do with how the organisation functions or remains sustainable, which can be called ‘operational objectives’. Outcomes or indicators that are based on observable facts rather indicators than on people’s perceptions. For example, an objective indicator could be ‘level of crime’, but not ‘fear of crime’ which would be a perception. See also subjective outcomes /indicators. The changes that result from your organisation’s activity – for people, communities, the economy or aspects of the natural or built environment. They come either wholly or in part as a direct result of the organisation’s actions. Outcomes are sometimes planned and are therefore may be set out in an organisation’s objectives. The indicators that the outcomes have happened are what an organisation measures to know that it is meeting its objectives. Outcome indicators help you to assess the changes that take place as a result of your project and show progress towards the intended or unintended effects. An activity or intervention usually results in something demonstrable or countable right afterwards. Outputs are usually finite – either items created, such as a report or units of carbon dioxide produced by a manufacturing process, or numbers of people who have received a skills training. While outputs are often the first step in creating the longer-term change you are looking for, they are not enough by themselves to create that change. Output indicators show that the project or activity has successfully taken place and that the pre-conditions are in place to achieve the organisations outcomes/objectives. This term encompasses a number of different participatory and Appraisal (PLA) approaches and methods. The underlying principles of PLA are: to embrace complexity; recognise multiple realities; prioritise the realities of the poor and disadvantaged; grassroots empowerment; sustainable learning; and relating learning to action. It represents a step away from participatory methods as a process of outsiders extracting information, and instead focuses on involving different stakeholders as equal partners. Diagramming and visual techniques are tools that enable the engagement of all participants, even in communities with low literacy. There is also an emphasis on programme and policy improvement as an integral part of the learning process. In the context of this toolkit, proving is about demonstrating that change is actually taking place, that the organisation is living up to its mission and that it can explain these changes and effects to a range of people that have a stake in what happens. It can also be about demonstrating to these people that the organisation or its activities lives up to or achieves expected standards or measuring to what extent they do. A proxy indicator is used to replace indicators that are difficult to measure directly. Information having to do with the qualities or characteristics of what is being discussed. It is generally descriptive, but can also be assigned numeric values. It helps to demonstrate, describe or measure that something has happened, and responds to questions of how, when, who, where, which, what and why. Quality is a term used to describe a high-level of functioning, or excellence, in the various aspects of an organisation – how it is run, the goods it creates and services it delivers. This can be measured according to external standards or can be seen as to the extent to which a product or service satisfies the expectations of the stakeholders. Quality can be defined differently by different stakeholders or groups: the organisation itself and its stakeholders can decide what ‘quality’ looks like and set standards for the organisation to uphold; an external body or organisation may set standards for the quality of an organisation’s products or how an organisation does things (process) or how the organisation makes or provides things (products or services); or and umbrella or membership organisation representing a whole ‘sector’ or group of similar organisations can set standards for that group of organisations. Information having to do with a quantity, a number or a percentage. It responds to questions of how many, how often and how much. AA1000: The Responsiveness Principle requires that a Principle organisation provides evidence that it has coherently responded to stakeholder concerns, policies and relevant standards – this includes public response but also management of issues identified material i.e. improving performance. What it has decided to do in response to these concerns and interests should be included in an organisation’s reporting. The principle does not require an organisation to agree or comply with stakeholders’ concerns, but it must respond coherently and consistently to them in providing an adequate response. A plastic board that serves as a non-paper-based assessment and evaluation tool. It allows participants to explore their present circumstances, to identify priority areas for support and intervention, to explore their past in order to pick up on strategies that have worked for them previously and to explore future possibilities. The social accounting process allows an organisation to create a report on its mission, values objectives and activities, and its ways of measuring progress and process. It establishes a framework for ongoing monitoring, evaluation and accountability to stakeholders both internal and external to the organisation. The process can help an organisation to investigate its performance against social, environmental and economic objectives, and ensure that it is working in accordance with its values. See also Social Audit. The process of reviewing and verifying the social accounts at the end of a social accounting cycle. The review is undertaken by people from outside the organisation (a Social Audit Panel) to check that the report is based on information which has been properly gathered and interpreted. See also Social Accounting. A concept that encompasses the strength of relationships between people, including features of social life – networks, norms and trust – that enable participants to act together more effectively to pursue shared objectives. Social Enterprise Coalition: Social enterprises are businesses that trade in the market with a social purpose, which use business tools and techniques to achieve social aims and include an incredibly wide range of organisations, for example, co-operatives, development trusts, community enterprises, housing associations, social firms and leisure trusts. The DTI Social Enterprise Unit: Social enterprises as businesses with primarily social objectives whose surpluses are principally reinvested for that purpose in the business or in the community, rather than being driven by the need to maximise profit for shareholders and owners. A short-hand term for the way that problems such as unemployment, poor skills, poverty, bad housing, living in a high crime area, bad health and family breakdown can link together to make it tough for people or communities to get what they need to improve their situation. The concept of Social Return on Investment (SROI) provides investment a mechanism for capturing some of the social and environmental benefits of projects or programmes that financial measures do not reflect. Soft outcomes are generally defined as intangible or a matter of degree and can therefore be harder to measure than hard outcomes. They are most commonly used for changes in attitudes, self-perception or certain skills areas. Soft skills can be described as interpersonal or personal skills, such as communicating with others and personal effectiveness, in contrast with hard skills, such as operating machinery or ICT skills. Those people or groups who are either affected by or who can affect the activities of your organisation. This can include customers, beneficiaries, board members/trustees, community groups, employees, funders/investors, shareholders or equivalents, statutory bodies, suppliers and volunteers. In a general sense, a standard implies a particular level of outcome or type of process that an organisation can aim to achieve. A standard can also be formalised as a tool that organisation can use to verify or benchmark their performance against, such as the AA1000 Assurance Standard. A participative method for setting out how an organisation of project creates change. Balanced Scorecard: A strategy map is a diagram that describes how an organisation creates value and achieves its goals by connecting strategic objectives in explicit cause-and-effect relationships that then guide the organisation’s indicators of success. Outcomes or indicators that are influenced by or based on indicators personal beliefs or feelings, rather than based on externally observable facts. See also objective outcomes/indicators. General: Development that meets the needs of the present development without compromising the ability of future generations to meet their own needs. General: Sustainability can be defined as long-term viability or the capacity for continuance into the long-term future. It can be used in a holistic sense, such as in relation to sustainable development, but also in a more specific sense, such as financial sustainability or environmental sustainability. See also sustainable development. Reporting in terms of economic, environmental and social performance. See also triple bottom line. A particular level of output or outcome that an organisation or activity aims to achieve. The main group or groups you are working with and the people your service is intended for. Defines all building blocks required to bring about a given long-term goal. This set of connected building blocks – interchangeably referred to as outcomes, results, accomplishments, or preconditions – is depicted on a map known as a pathway of change/change framework, which is a graphic representation of the change process. This model has been developed by the Aspen Institute. See also impact map. Social Accounting: Where an organisation openly discloses the findings of its social accounts, so that its stakeholders have a good understanding of how it performs and behaves, and the reasoning behind for its behaviours. A framework for measuring and reporting organisational or corporate performance against economic, social and environmental parameters. Broadly, the term is used to capture the whole set of values, issues and processes that companies must address to minimise harm and create economic, social and environmental value. See also sustainability reporting. The process of officially accepting or approving something, often after examining it. In the context of this toolkit, that something has been verified implies that it has been checked by people external to the organisation. Well-being can be defined as people’s experience of their quality of life. This can be broken down into two personal dimensions: people’s satisfaction with their lives; and their sense of personal development; plus a social context dimension: people’s social well-being, such as belonging to their communities, a positive attitude towards others, feeling that they are contributing to society and engaging in what could be called ‘pro-social behaviour’.